This year’s Big Green Bike Ride looks like being the biggest ever and it’s such a great way to raise funds for Friends of the Earth. Overall there will be 120 miles of cycling, but you can pick the challenge that suits you. 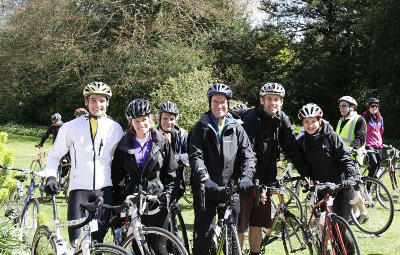 This year’s ride starts on Saturday, 17 May, and the 85 mile route will take you from the hustle and bustle of London, through the country lanes of Surrey and Hampshire, to the New Forest. The next day will be a much shorter 35 mile ride, spent exploring the heather-covered heath, farmland, ancient woodland and mudflats of this beautiful corner of the countryside. You can take part in both days or choose just one of these challenges. All riders will receive a goody bag and there will be an evening of food and entertainment in the heart of the New Forest. This entry was posted in Climate change, Environment, Green, Nature and tagged Big Green Bike Ride, bikes, cycling, Friends of the Earth, New Forest. Bookmark the permalink. Sounds like a great way to be outdoors!